I heard my friend Brian Lee on some pretty epic Station Sound out of Sydney so I got the demo – Enjoy! 2 Day FM has brought him in as the new voice of the Morning show, Jules, Merrick & Sophie With Mel B. I am constantly amazed with the work that occurs in Australia. 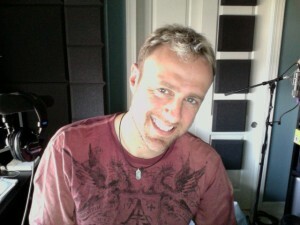 Chris Davis, Producer. Great work Chris. BTW: Everyone should know Konsky by now – he was the one to bring Brian in. I actually just collaborated with Konsky on a 2Day FM project which I hope to put on display soon. It involved some sangin’ and some monster Konsky Magic.